Interkosmos: A challenging mini-adventure of astronomical proportions! a challenging mini-adventure of astronomical proportions! Interkosmos is a virtual reality game about the sheer terror of falling towards Earth at breakneck speeds; featuring a rush of hectic gameplay to challenge your inner astronaut, and a comedic story full of twists, international intrigues, and Cold War absurdities. It’s time to become the astronaut you always wanted to be! Take control of a space capsule falling to Earth in a breathtaking VR experience made to recreate the thrill of atmospheric re-entry. 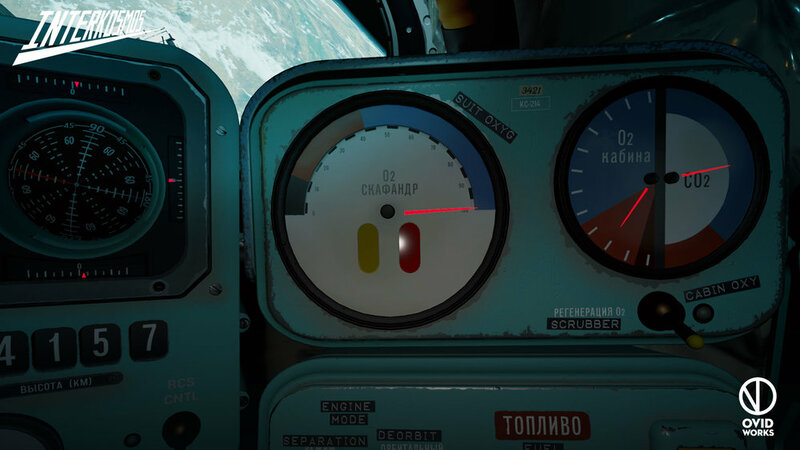 Enter Zvezda, a fully interactive re-entry capsule heavily inspired by 1970's space technology, where every switch, gauge, and mechanical bit could be relevant to your survival. Guide your capsule to a safe landing with assistance from NASA and Roscosmos, and pray nothing unexpected happens to your highly experimental Soviet spacecraft - now the centerpiece of a Cold War conflict rapidly escalating towards catastrophy. Good luck pilot! Ultimately it’s you who must choose whom to trust, and succeed in landing; or discover all the interesting ways to die during re-entry. Follow us on Twitter & Facebook for more updates and news about our upcoming games!